ISSRDC Day 2 Highlights Sustainability, Commercial Partnerships, and More! Day 2 of ISSRDC Highlights Sustainability, Commercial Partnerships, and More! 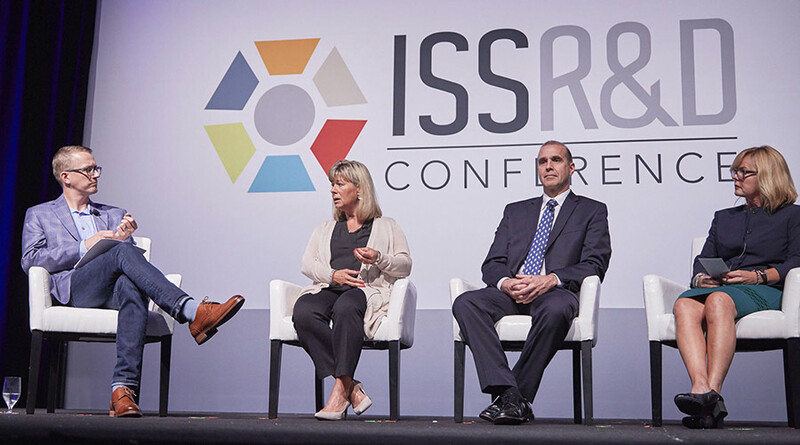 Sessions from today’s conference activities were a first-rate example of how the International Space Station (ISS) is truly pioneering innovation with exciting ground- and space-based research aimed at benefiting life on Earth. Day 2, the first full day of ISSRDC 2018 in San Francisco, highlighted collaboration with new and nontraditional partners to explore promising innovations on the ISS. The conference kicked off with a strong opening from American Astronautical Society President Carol Lane and CASIS Interim President and Executive Director Lt. General James Abrahamson. The morning keynote was given by Adam Savage, star and editor-and-chief of Tested.com and former co-host of MythBusters, who discussed his own passion for space, science, and experimentation with former NASA Astronaut Cady Coleman and Robyn Gatens, deputy director of the ISS Division at NASA. During the session “Exploring Promising Medical Innovations on the ISS,” a transformative panel from diverse science backgrounds discussed the future of medical research in space, including medical results from current research and upcoming research efforts. Panelists included members of the National Institutes of Health National Center for Advancing Translational Sciences, NASA’s Human Research Program, the University of California, Los Angeles, Baylor College of Medicine, Tympanogen, and the Houston Methodist Research Institute. Growing demand for space-based research was one of the cross-cutting topics in several of today’s sessions. New nontraditional ISS National Lab research partners, such as Goodyear, Target, and Delta Faucet, are using the ISS as a platform to address some of the big challenges facing people on Earth. For example, Derek Shuttleworth, manager of external science and technology for the Goodyear Tire & Rubber Co., shared the company’s plans to test tire components in space in an experiment expected to launch in the coming months. Another innovative experiment launching later this year was announced by Gerry Marty, Delta Faucet Co. senior manager of front end innovation and regulatory. National Geographic Channel Executive Producer Bengt Anderson (left) leads a discussion on sustainability with representatives from Target, Northrop Grumman and CASIS. In a session that explored the future of sustainability both on and off the Earth, Sarah Thorson, vice president of strategy & operations for product design and development for Target, shared details about the company’s experience working to develop the ISS Cotton Sustainability Challenge. Blair Bigelow, co-founder and vice president of corporate strategy for Bigelow Space Operations, highlighted the current collaborative atmosphere around ISS commercial utilization. Tomorrow, Day 3 of the 2108 ISSR&D conference, will deliver more information on innovation and sustainability—highlighting creative investment and exploration opportunities through the ISS National Lab. Don’t miss the innovative discussion with IBM and a keynote address from NASA Astronaut Mark Vande Hei! Get the latest ISSR&D Conference news and announcements. 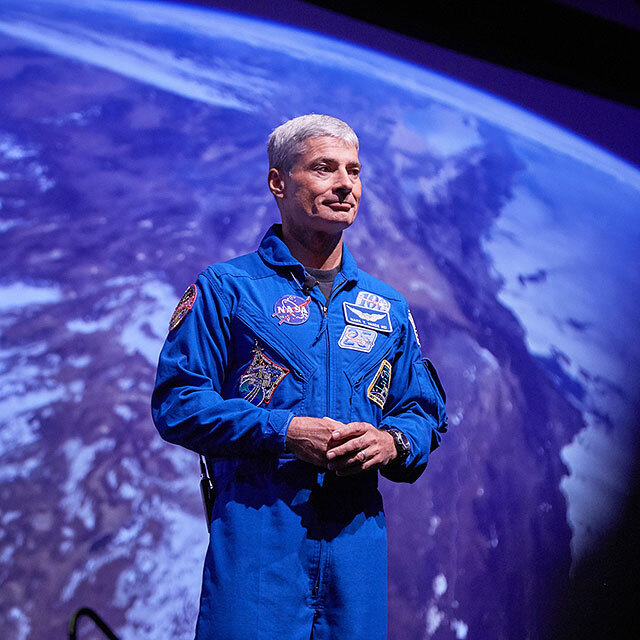 Check out photos, videos, and technical session information from the 2018 International Space Station Research and Development Conference in San Francisco.